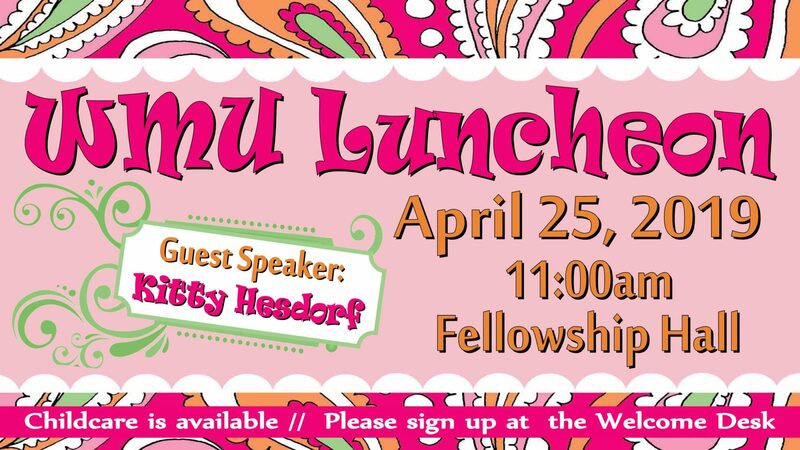 Join the ladies of the WMU for their monthly luncheon. Our guest speaker will be Kitty Hesdorf. Sign up at the Welcome Desk and PLEASE check “yes” if you will need childcare.